Our sports camps are designed for players of all ability levels! The goal of our BCH coaches is to instruct athletes to the best of their abiliy and target specific skills. We promote teamwork and fun through various drills, games and competitions. Our Baseball Camp is designed for the camper who wants to develop and sharpen his baseball skills! The emphasis of this camp is both on the fundamentals of baseball and on having fun. Small-group instruction to develop skills in hitting, fielding, throwing, bunting, and positional play. A series of controlled scrimmages provides the coaching staff with the opportunity to evaluate campers’ play. The afternoon focuses on fundamentals to reinforce each camper’s skill development, scrimmages and game play. Monan Park is a state-of-the-art all turf Baseball field and along with indoor batting cages this makes BCH the perfect place for boys to play ball! All our coaches are BC High coaches, Head Coach Norm Walsh ’70 was inducted into the National HS Baseball Coaches Hall of Fame as well as the Massachusetts Baseball Coaches Hall of Fame and has been coaching BCH Boys Varsity Baseball for 39 years. The ultimate goal of BCH Basketball Camp is to improve the level of play of each camper and provide him with a rewarding and fun basketball experience. Boys will learn the fundamentals of basketball and sharpen skills for an all-around better game. A low camper-to-counselor ratio ensures that participants have the opportunity to reach their full potential. All our coaches are BC High coaches and stress to campers the importance of teamwork, create a safe learning environment for all campers, accountability and sportsmanship. The day begins with both individual and team instruction in fundamentals. Campers practice in smaller learning groups or game situations. The afternoon session offers group-lectures or competitions addressing a particular skill, such as shooting, individual defense, or a team concept. We focus on these fundamentals to reinforce the skill development of each camper and to raise the level of each player’s game. Instructed by BC High Varsity Coach Lance Hutchinson and JV Coach John Walsh participants will have the opportunity to learn, play and improve their tennis skills. Campers will work on serving, volleying and court awareness. Our goal is that everyone who attends camp develops a long-term love for the game and the confidence to be a great player. Coaches will help players improve their play in all facets of the game. Learn and improve basic and fundamental skills and improve their court sense through realistic game-like activities and drills. Players must provide their own racket. Join BC High volleyball coaches Katie Walsh and James Chen for a motivating and challenging week of volleyball. Take your volleyball skills to the next level with an emphasis on learning and fun! Our goal is that everyone who attends camp develops a long-term love for the game and the confidence to be a great player. Coaches will help players improve their play in all facets of the game. Learn and improve basic and fundamental skills and improve their court sense through realistic game-like activities and drills. Time: 3p.m. – 6:30 p.m. If your youth football player is an experienced player or just starting football, this is camp for them! By working with BC High head football coach Jon Brillo and his staff, they will learn much more than just football! Campers will be taught teamwork, self-discipline, consideration of others and how to attain their potential on the field. This youth camp is designed to teach, develop, and improve skills for all campers looking to learn and excel in football. Each afternoon there will be instruction in all phases of the game. Learning proper technique, while still making each practice fun, our veteran coaching staff will step it up a notch each day with more advanced technique training on both offense and defense. For athletes that have more experience, our BC High coaching staff will intensify the instruction each day in all phases of the game with positive, enthusiastic instruction and more advanced technique training on both offense and defense. This camp is a contact free camp. Helmets and shoulder pads are not required. Our Middle School Clinic introduces the essentials of the game such as basic stick skills, positioning, and footwork. Players will develop a fundamental understanding of a variety of game situations including 6 v 6, odd-man situations, riding and clearing, face-offs, box lacrosse and game competition. Each day, players will participate in competitive drills and mini-games, leading up to a championship game in the final week. All skill levels are encouraged to attend. Our High School Clinic is designed to develop individual lacrosse skills in all aspects of the game. Players will improve upon basic stick skills, positioning, and footwork. In addition, they will improve both their IQ’s and skill sets in a variety of game situations with a focus on 6 v 6, odd-man situations, riding and clearing, face-offs, box lacrosse and game competition. Each day players will participate in competitive drills and mini-games, leading up to a championship game in the final week. This level is designed for the player with competitive lacrosse experience. Players will need complete lacrosse equipment to participate in the camp. Our program is an emphasize on learning and improving a strong foundation of soccer skills for the beginner to advanced player. The younger camp is perfect for campers who want to advance their soccer skills and enjoyment of the game. The older camp is designed for the high school player who is looking for an in-depth tactical and technical camp experience. This camp combines advanced training with a fun! Our goal is for all campers to have a productive week of soccer that will enhance both their skills and passion for the game. Skill development will include but not limited to: ball mastery and control, offensive and defensive positional play, technical and tactical training. Head coach - BC High coach Nick Argento and his coaching team, have a proven ability to teach, motivate, and communicate with players. Our goal is to ensure that every camper has an enjoyable, positive experience that stresses fundamentals, teamwork, and sportsmanship. All are encouraged to be the best player and teammate they can be. We strive to improve skills, soccer knowledge, confidence, and passion for the game. Time: 9:30 a.m. to 11 a.m. OR 3:00 p.m. to 4:30 p.m. This summer strength and conditioning training program will train each athlete on the fundamentals of athletic development including mobility, strength, power, speed and conditioning. This assessment will help the coaches plan an individual specific specialized training program for each athlete. Other aspects of the program will be educational discussions on recovery and rest, nutrition, and the athletic mindset. Each athlete will be entered into our athlete database and have access to all of our training resources. Specific program dates and times vary. See specific program for details. 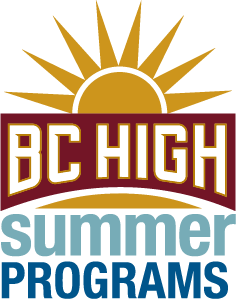 Click below for more information on all summer programs.